Cuba is just a few miles south of the United States, but to most Americans it might as well be the far side of the moon. As the diplomatic relationship between the United States and the Republic of Cuba evolves after 57 years of embargo, the sanctioned People-to-People cultural and educational exchanges between the two countries are now the only legal opportunity for Americans to visit Cuba. And, there’s much to see, learn and inspire you. Now in its sixth year of taking People-to-People delegations to Cuba, CR&V is pleased to present this once-in-a-lifetime experience for friends of the Grand Canyon Music Festival and its founders Robert Bonfiglio and Clare Hoffman. 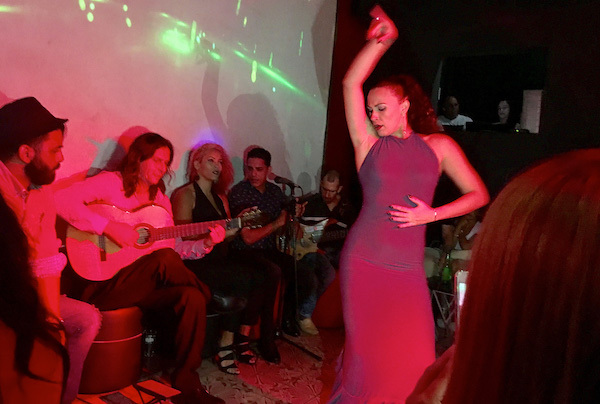 Imagine Cuba’s top musicians in a truly intimate and distinctive venue performing just for you. You will be uplifted by the music, make new friends and mingle with world-class musicians who just shared their inspired artistry with you. As part of Cuba Rhythm and Views’ cultural exchange with Cuba, Robert will perform in separate concerts with the Havana Chamber Orchestra and the Aldo López Gavilán Quartet. He will also conduct a master class for some of Cuba’s most promising musicians at the Instituto Superior de Arte in Havana and the Benny Moré School of the Arts in Cienfuegos. 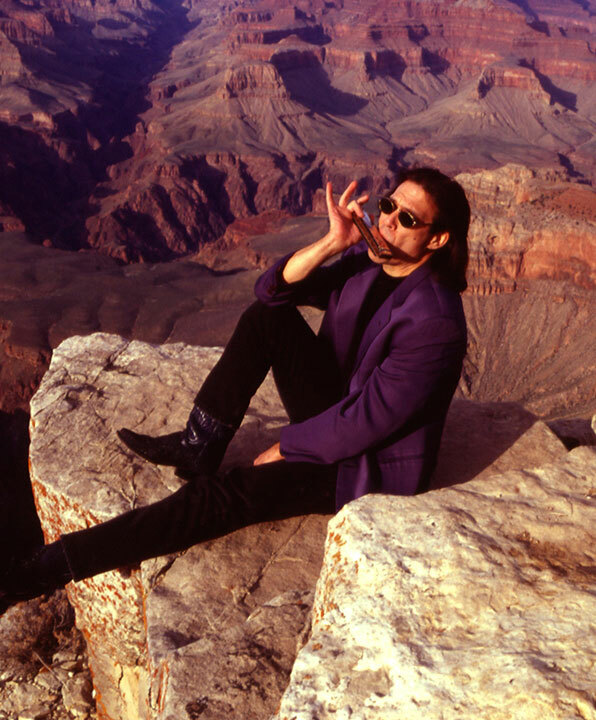 Called “the Paganini of the Harmonica” by the Los Angeles Times, Robert Bonfiglio has dazzled audiences at Carnegie Hall, Hollywood Bowl, the Gewandhaus, Teatro Colón, Teatro Massimo, Teatro Amazonas, Kennedy Center, Boston Symphony Hall, Lincoln Center and throughout the world with his ability to play harmonica concertos and turn right around and sizzle on the blues. Bonfiglio has been a concerto soloist with leading orchestras around the world including the Minnesota Orchestra, Orchestre de la Suisse Romande, Orchestra of the Teatro Colón in Buenos Aires, Luxembourg Philharmonic, Leipzig M D R-Radio Symphony, Hong Kong Philharmonic, Orchestre National du Capitole de Toulouse, Madrid Radio Television Española Orchestra, Real Orquesta Sinfónica de Sevilla, Edmonton Symphony, Mexico City Philharmonic, as well as Milwaukee Symphony, Indianapolis Symphony, Oregon Symphony, Utah Symphony and Los Angeles Philharmonic. In 1982, inspired by the writings of Willa Cather, GCMF founders Robert Bonfiglio and Clare Hoffman set off – with harmonica and flute tucked into their backpacks – for a five-day, rim-to-rim-to-rim Grand Canyon hike. On day two of their hike, at the invitation of park rangers, Robert and Clare performed an evening concert in the ranger’s cabin at Cottonwood Campground. That impromptu concert was the genesis of the Grand Canyon Music Festival, now in its 34th season of award-winning concert programming. Encouraged by the local community and businesses, the festival has grown to span 3 weekends, including award-winning education programming, and is now a cultural institution at the South Rim of the Grand Canyon. Check – Submit your deposit to Cuba Rhythm and Views, PO Box 2773, Gilbert, AZ. 85299.
Credit card – 3% of any credit card transaction will be added to your final invoice. Call 602.679.0590 or use the secure link below. FINAL PAYMENT due 60 days prior to departure. Any music-lover or patron of the arts, be it jazz, classical, dance, folklórico, son (not exactly salsa, but close), and choral music are welcome to travel with us on this historic tour. The group size will be limited to 30 to enhance your intimate experience. To secure your space, please fill out the application packet available at or call 602.679.0590. Priority will be based upon the order in which we receive deposits. WHY CHOOSE CUBA RHYTHM & VIEWS? This trip is different from all the others. 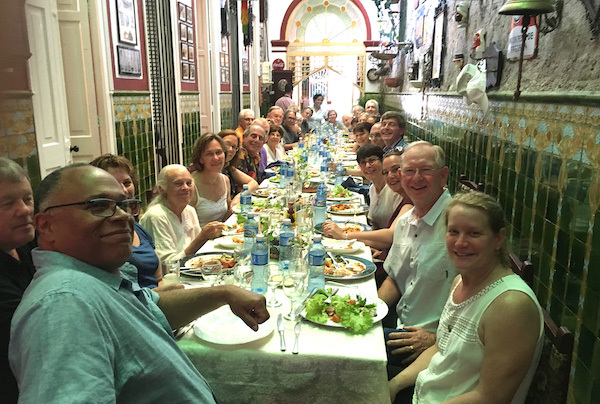 Our delegations experience distinctive and intimate exchanges in private residences, exclusive performing spaces not generally accessible to Americans, behind the scenes at Cuba’s great concert halls, and visits to leading arts schools and conservatories. This 7-night trip includes the finest hotels and private restaurants (Paladares), in addition to offering up close and personal experiences with Cuba’s most celebrated musicians, dancers, and visual artists. Our group size is limited to ensure that the experience is unique and memorable. This is the only People-to-People trip designed for passionate lovers of music and the arts…and Cuba has some of the best in the world. Other trips may, on the surface, appear to be less expensive, but we encourage you to take a closer look and examine hotel accommodations, whether your visa and round-trip Cuba airfare are included, the number of days of the trip, etc. Once you compare, we are confident you will conclude that Cuba Rhythm & Views is an incredible opportunity and a great value! Your hosts, veteran music producers Woody Wilson and Neil Birnbaum, have more than 70 years of combined experience presenting the world’s finest music and artists. Together, they have spent the past five years exploring Cuba’s creative arts, engineering major cultural exchanges, and building cultural bridges that have helped to break down the barriers between our countries. Both men are dedicated to offering the highest attainable artistic excellence and a truly distinct experience. The result is a cultural exploration of Cuba that is the new benchmark for People-to-People tours of this remarkable and isolated nation. IMMERSE yourself in intimate, private experiences hosted by Neil and Woody. MINGLE with the performers at special post-concert receptions and private dinner concerts. ENJOY some of the most incredible music in the world along with expert-led tours at museums and in the cities, as well as special government-approved visits to schools, and historical sites not generally available to Americans. 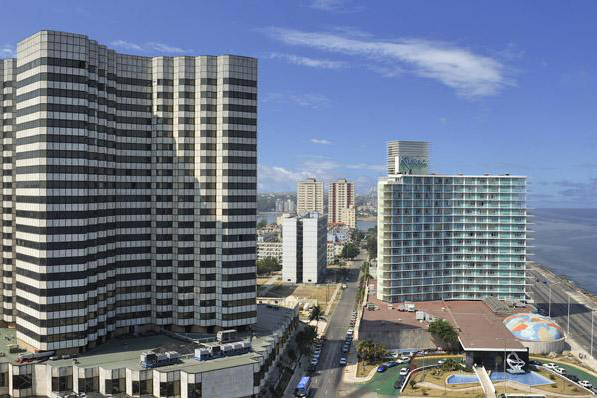 Our headquarters for the Havana leg of our trip will be the five-star Meliã Cohiba Hotel on Havana’s historic Malecón. Meliã Cohiba is one of the finest hotels in the Caribbean. After a busy day in Havana, Meliã Cohiba is the place to relax, have a cold drink, check your email with available Wi-Fi, look at the sea, or take a stroll along the Malecón at sunset and be inspired by Havana coming to life after dark. In Cienfuegos, our group will stay at the Hotel Jagua on Cienfuegos Bay. With its magnificent location in the well-known residential area of Punta Gorda, the Jagua is considered one of Cuba’s most famous hotels. Its comfortable rooms are characterized by the spaciousness of the 50’s and offer beautiful panoramic views, which showcase the nature and wildlife of the Caribbean. In Cuba, the classical arts are revered by every walk of life. During our trip, patrons will experience performances by such renowned groups as: Orquesta Sinfónica Nacional; Ballet Nacional de Cuba; Ballet español de Cuba; Ballet Lizt Alfonso Dance Cuba; Camerata Romeu; Cantores de Cienfuegos; Orquesta de Cámara de la Habana; and more. Events will include opportunities to attend rehearsals as well as performances, mingle with the performers as well as sharing a meal. These People-to-People experiences will be truly awe-inspiring. Traditional music and its evolution over the centuries is at the heart of the Cuban soul and mystique. The history of music in Cuba is the story of its people; from slavery, political upheaval, revolt and a joyful celebration of Cuban life. As part of our Cultural Exploration, noted Cuban musician and University of Cienfuegos Professor Giraldo Pérez will teach the origin of Cuban music and dance. Cuban jazz begins here. Cuba is committed to arts education and training from primary school to the university level. 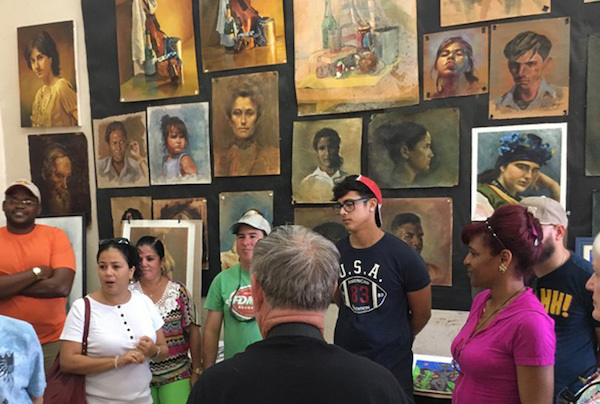 To see firsthand how artists and musicians are cultivated, we will visit Escuela de Arte Benny Moré and Instituto Superior de Arte (ISA) where you will experience Cuba’s arts education system with private performances by school orchestras, chamber ensembles and dance classes. You will also visit visual arts studios at these schools. In addition to the performances, you will have the opportunity to communicate with the students and their teachers in a round table discussion that will enlighten you on Cuba’s robust arts education. Cuba has some of the finest young jazz musicians in the world. The Afro-Cuban tradition has evolved into a robust jazz scene that has a solid foundation in the classical music training musicians receive at the prestigious music schools throughout the country. In Havana, jazz thrives. Our patrons are not only immersed into Havana’s jazz nightlife, but will be treated to private, one-on-one concerts from the best and brightest of Cuba’s jazz elite. This unique exposure to one the world’s most active jazz scenes is a Cuba Rhythm and Views exclusive. Some of the most exquisite historic buildings in the Caribbean are in Cuba. Despite the 57 years of embargo, Cuba has managed to preserve and restore some of its most important heritage structures, neighborhoods and monuments. Using tourist dollars and financial incentives, much of Old Havana, a UNESCO World Heritage Site, is gradually being rehabilitated to its former beauty. 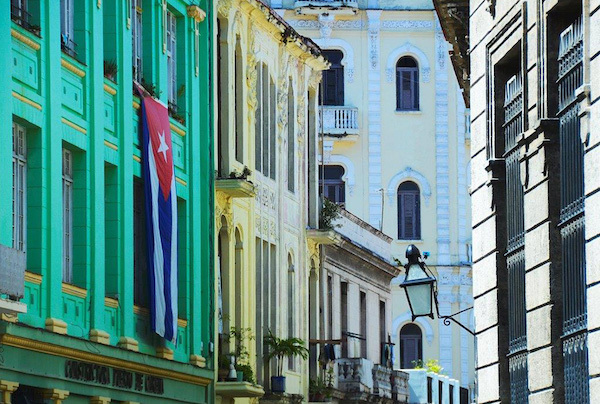 A noted Cuban architect or urban planner will provide our patrons with an insight into what it takes to gradually restore one of the world’s great cities, one building at a time. As part of our People-to-People exchanges, our patrons will visit leading Cuban artists’ studios and homes. They will discuss their work and their artistic visions. Among the many artists patrons will meet are: Vladimir Rodríguez, Santiago Hermes Martínez, Kadir López, Villaluilla, and many more. These personal encounters will help you understand life in Cuba before the Revolution as well as today. The growing movement of private restaurants, or paladares, in people’s homes is flourishing in Havana. This movement is at the vanguard of economic change in Cuba. The best dining in Cuba is in paladares along the backstreets and alleyways of Old and New Havana. The restaurants are being reviewed internationally and Havanaphiles are slowly finding their way to these wonderful free-enterprise culinary destinations. Most of our meals will be in paladares. And, for the meals not included, you will be given the names and locations of Havana’s best private restaurants, all within a ten-minute cab ride from the Meliã Cohiba. Meet with a former Foreign Ministry official for a talk about US/Cuba relations. This is usually with either Carlos Alzugaray, Cuba’s former Ambassador to the European Union; or Camilo García Lopéz-Trigo, a former member of Cuba’s delegation to the United Nations. Both are now professors at University of Havana International Relations School and are experts in US studies. 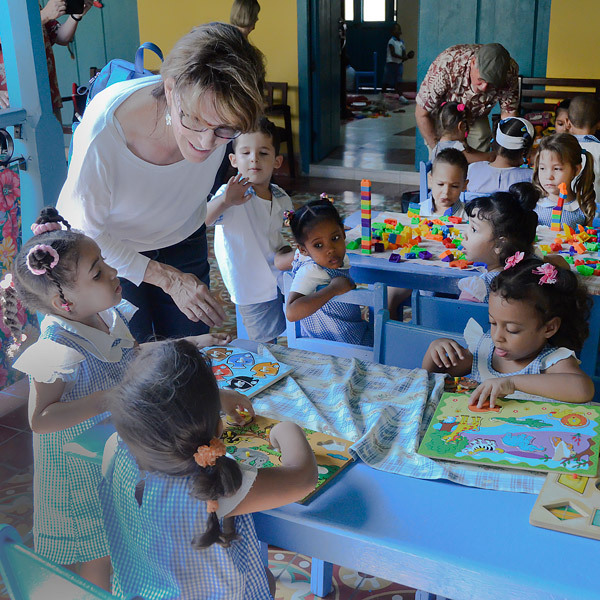 Visit a daycare center run by The Sisters of the Love of God, visit a classroom in session, learn about the remarkable work the sisters do for single mothers. Join us for this exclusive cultural experience Reserve your spot NOW! © Cuba Rhythm and Views 2017. Photo art by Rick Giase.